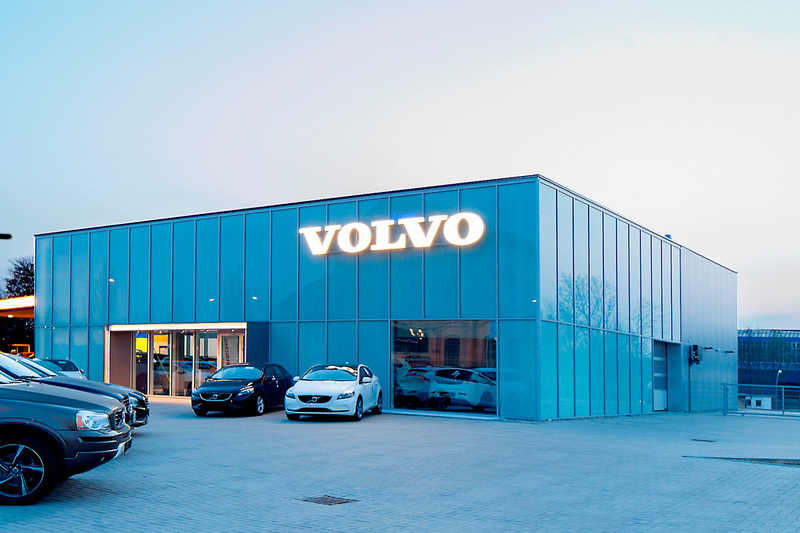 Intec has been supporting the Volvo brand on the German market for over a year. In the process we are exclusive partners to the car dealers, network developers and other planners for the introduction of the new CI (Corporate Identity) which is to be established by 2020. In the course of its implementation, we have succeeded in realising an initial project in Rostock with all responsible parties. This has given dealers the opportunity to adopt a position in the market which clearly sets them apart from the competition. 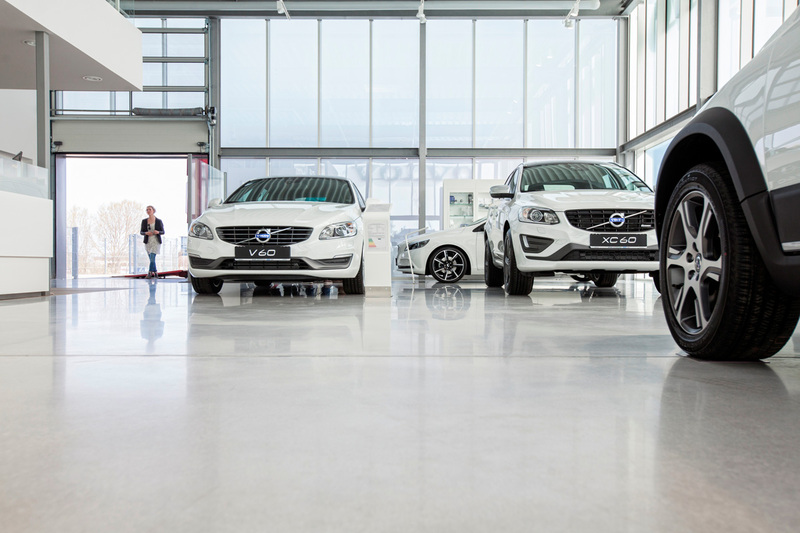 The Volvo Retail Experience Concept (VRE) is expressed by means of an integrated corporate, product and communication strategy. The customer is the key figure at the car dealer’s. 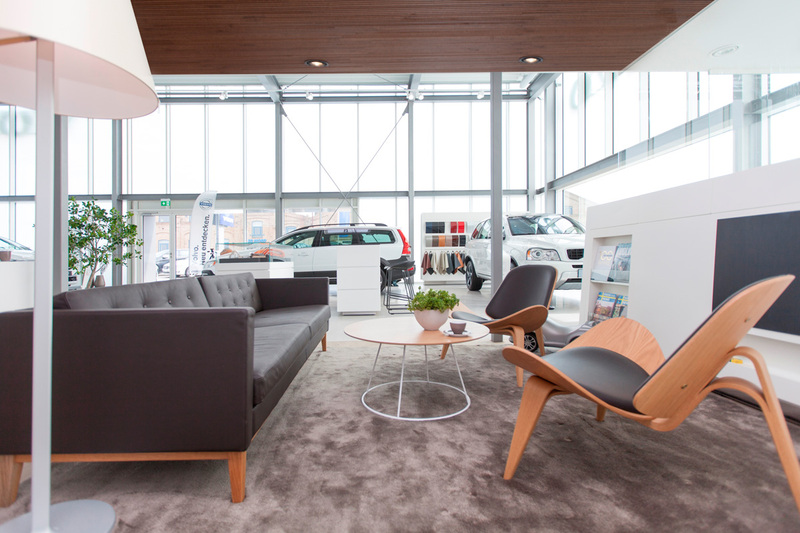 In architectural terms, this is expressed by a generous customer lounge with a living-room atmosphere, direct line of sight into the workshop and vehicle reception designed as a space for customer contact. 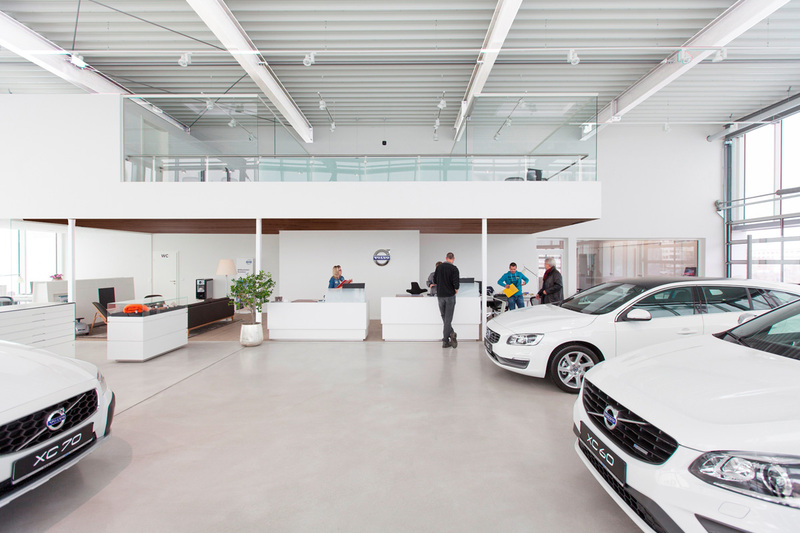 The materials used are nordically cool for the showroom in order to create an environment for the vehicles and the technology. For the customer area, light-coloured wood for the floor and ceiling is the lead element, rounded off with warm white lighting.